10Bet is now fully licensed operator in the UK that is trying to compete with all the high profile online bookmakers. Their product includes sportsbook with over 60,000 betting events each month available through online and mobile channels. While their football product is really good they definitely need some work on racing tab. Your 50% deposit bonus will be added to your account. Your bonus will be awarded after you make a one time turnover of your deposited amount. Then you also need to make a 5x turnover of the total amount you will have on your account (deposit and bonus) before you will be able to withdraw your funds. Minimum odds for roll-over is 3/5 (1.60). Note that customers using Skrill or Neteller are not eligible to use this offer. On top of a pretty solid welcome bonus 10Bet also offers quite a few interesting promotions for new and existing customers. There are usually some money back and enhanced offers on the biggest football and racing events. Apart from that you will always find some promotions for multiple bets! Horse racing 10 Bonus: Place your first horse racing bet and if you don't win it, you'll get your stake back up to £10. Once your first horse racing bet loses you'll need to email [email protected] with subject line RACING in order to receive your money back. Best Odds Guaranteed: 10Bet is now making sure you are paid out on the industry best odds on UK and Irish horse racing events. You don't really need to worry if your selection is better priced at some competitor. 10Bet will anyway pay out your winnings on highest odds on the market even if your initial bet was smaller. It applies to all today's UK and Ireland races on website and mobile. Money back if beaten by a head: When betting on any racing events you can get your stake back on losing bets if your selection is beaten by a head. You can get £10 back by mailing [email protected] with a subject line: HEAD OR LESS MONEY BACK on the same or next day after your losing race. 10Bet is a bookmaker that is really strong in their football business. They normally offer a lot of promotions and bonuses especially on some of the high profile football games and events. Enhanced odds, money back specials, re-load bonuses and other offers are available basically every week. 4+ Accumulator Bets Money Back: You can now get your money back up to £50 whenever your 4+ accumulator bet misses by only one selection. There's a limit of 10 claims by month in this promo, but that's quite a lot anyway. When you have such situation just send an email with title: ACCA MONEY BACK to [email protected] and get 100% of your stake back up to £50. 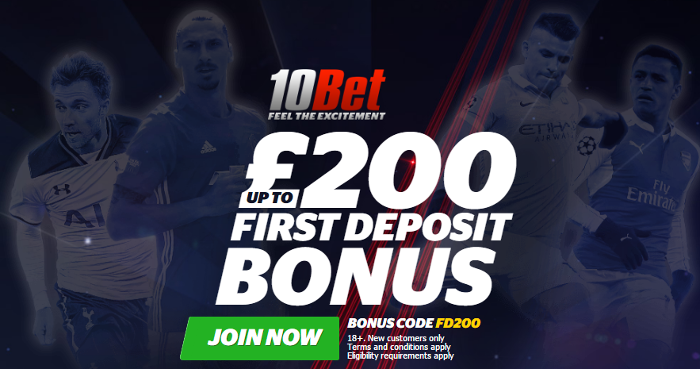 Bet £20, Get £10 bonus: Now you can get a £10 bonus when you place a £20 bet on any sport. All you need to do is place a bet with odds of at least 1/2 and then email [email protected] with your bet number using GET 10 as the subject line. In order to get the latest football offers from 10Bet just visit their site using any of the links from this article. 10Bet is offering 60,000 betting markets every month across +150 football leagues, +100 live betting types and +18,000 live betting events. Apart from football their main focus is in basketball where they cover both NBA and Euroleague. Tennis is also strong with coverage of main tennis tournaments including Roland Garros, Australian Open, Wimbledon and US Open on top of tens smaller tournaments. Cricket, snooker, golf, darts, rugby are just a few other sports you'll find at 10Bet site. 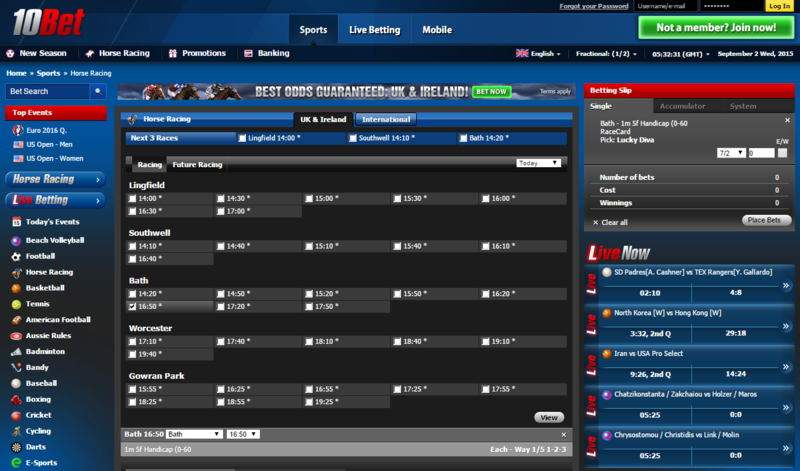 10Bet website is really nice and easy to navigate. At the moment they only offer betting to UK customers so you won't get distracted with casino tabs. 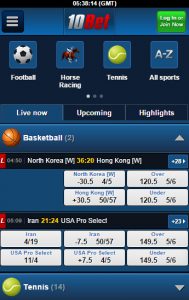 Thanks to it the only main tabs in the top menu are Sports, Live Betting and Mobile. Apart from those it's also easy to find Promotions and Banking pages. Featured betting events are clearly visible and accessible from home page too. Registration and bet placement process is quite easy which is also a great plus for their website. 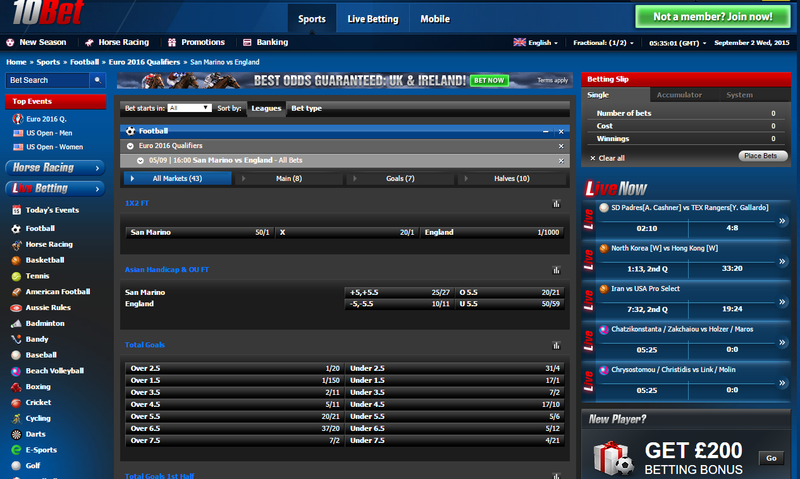 10Bet mobile site is pretty similar to the full web version. It's easy to navigate and allows you to access all of their 60,000 monthly betting markets without a real problem. You might argue that they should have the proper Android and iPhone apps but when you test the browser version you should really like it. 10Bet is really professional when it comes to customers service. They are offering 24/7 support on email, fax and live-chat. Most of the major payment/withdrawal methods accepted by 10Bet including: Visa, Maestro, MasterCard, Neteller, Skrill/Moneybookers, PayPal, Wire Transfer, Cheque and ecoPayz. Deposits and withdrawal are free of charge. Just remember that using Skrill and Neteller will exclude you from the welcome offer. 10Bet.co.uk is definitely an interesting company. 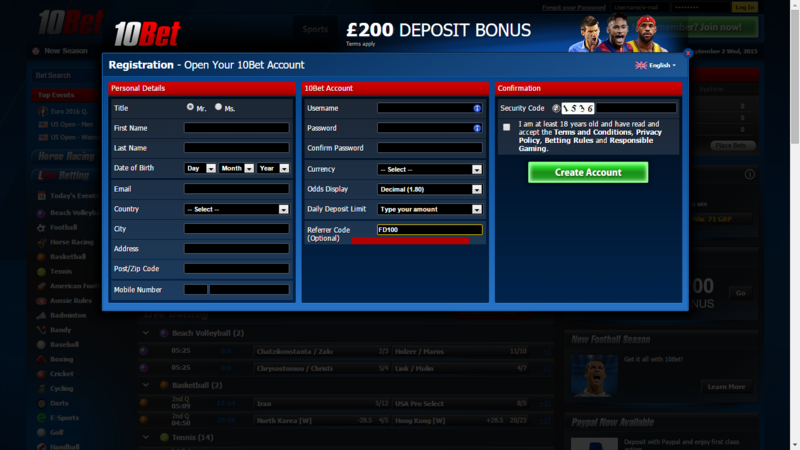 They are basically only one apart from bet365 that is offering a deposit bonus instead of free bet. Their sports betting product especially for football is really great. 10Bet is now fully licenced by the UK Gambling Commission so there is no legal danger in using their platform. With a good bonus and nice product it's definitely a company that you should try out.